Order now and pay only 5,95 €* per package from 15th March until 30th April 2019! 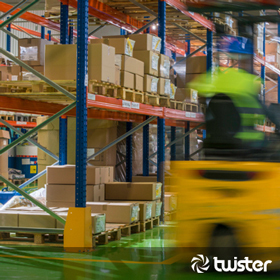 As of March 2014 Twister offers the Germany-wide shipping of small animals in containers. From now on you can contact our Logistics department on our Hotline 030/29 30 44 99. Take a look behind the scenes of Twister. View our warehouse and watch us at work. Our corporate video only takes a minute.